Exhibition "Golden Model 2018. Sea Battles"
In Latvia and other countires scale modeling is becoming increasingly popular. Therefore, this year, the Latvian War Museum and the scale model club "IPMS Latvia" invite eveyone to the exhibition "GOLDEN MODEL 2018. SEA BATTLES". This year, the main theme of the exhibition will be sea battles. 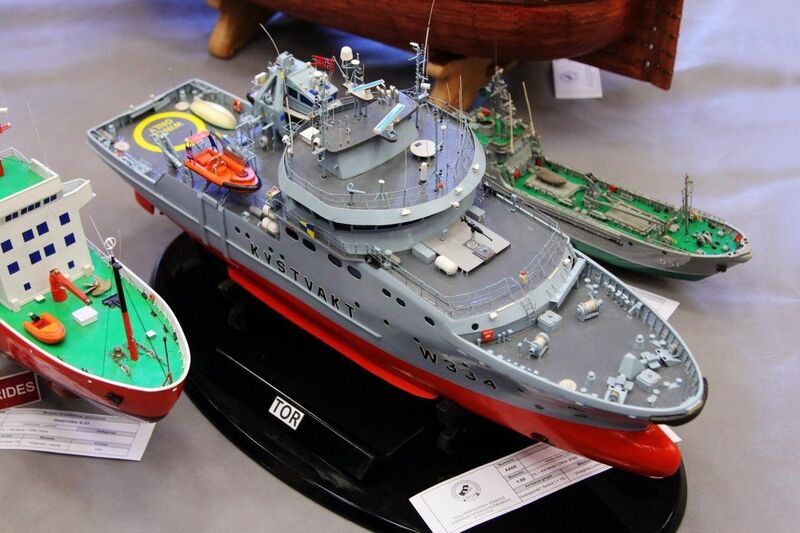 War and civil ships, submarines, boats and other models will be presented on scale model exhibitions. One of the goals of the event is to promote friendly relations with neighbor countries. And the main guests will surely be countries that celebrates 100 year the anniversary, such as Lithuania, Estonia, Poland and Finland. The event will also be supported by modelers from Sweden, Russia, Belarus and other countries. In Latvia, words "scale modeling" is not unknown, and for more and more people scale modeling become hobby. This is evidenced by the wide public interest in attending the "GOLDEN MODEL" exhibitions of previous years and growth of modeler club IPMS Latvia. Ship modeling is one of the brightest and most interesting scale modeling industries, since ships have many more details such as towers, cannons, lifeboats, boxes of different sizes, rigging, masts, larger and smaller sails. Navy aviation is also exciting and detailed - helicopters, career aviation, and so-called flying boats. Along with ship models, you will see submarines, pirates, seamen figurines and much more. As experience shows, scale models are interesting for all generations. It is an art and similar to painted canvas, it may catch your attention for even a few minutes to observe scale model's finest details and careful painting. Each model has its own unique story, thoughts and design. Entrance to the exhibition is for free.